In this article, published in The Wall Street Journal, J.P. Morgan Chase, the nation’s largest bank by assets, is modifying its Chase Pay platform to compete with the likes of Apple Pay, Google Wallet, Android Pay, and PayPal. The move will allow Chase Pay cardholders to create a digital wallet and make payments in store, online and in app. According to the article, J.P. Morgan Chase currently supports over 94 million cardholders, giving the nation’s largest bank a distinct advantage. Having this large customer base makes the transition to digital wallet even more feasible. In an interview, cited in this article, the head of J.P. Morgan’s consumer and community banking, Gordon Smith, said, “We’ve got the scale to bring an awful lot of customers”. This statement provides clarity into J.P. Morgan’s assessment of Chase Pay and the presumed scale that can be utilized for its success. Along with its large customer base, J.P. Morgan Chase also has a long list of business to business relationships that can make Chase Pay even more expansionary. By partnering with MCX, Merchant Customer Exchange, Chase Pay cardholders have instant access to a plethora of retailers. This allows cardholders to use their digital wallet to purchase goods and services through select retailers in store and online. The specific retailers involved can be found on this website. Traditionally, payment via digital wallet is processed by near field communication (NFC) technology, which is built into today’s latest smartphones and allows the consumer to wave his or her device at payment stations to pay for goods and services. According to this article, the only problem is that Apple does not allow third-party developers to utilize the iPhone’s NFC chip for app integration. This restricts J.P. Morgan Chase from accessing the NFC capability of iPhone’s in order for Chase Pay customers to pay using their Apple iPhone. The operations team at J.P. Morgan Chase is then forced to work around the situation to provide its Chase Pay cardholders with an efficient way to pay using the digital wallet on their smartphone. Instead of NFC, cardholders will be able complete transactions at retailers by using quick response (QR) codes. The mechanics behind QR codes are simple. The cardholder will open their Chase Pay app and generate a unique QR code on their smartphone and the cashier will scan it to complete the payment. Simple as that. 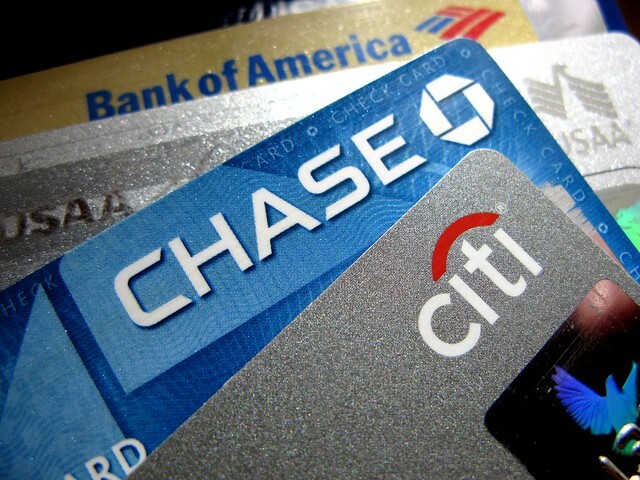 Since approximately half of American households are Chase customers, cited in this article, and J.P. Morgan Chase will automatically transfer cardholder information over to Chase Pay for current cardholders, then Chase Pay is in position to acquire a large share of the digital wallet market. This post is very well organized and very well written. The topic is also very relevant to the world today. Technology is constantly changing and it is crucial to the success of any business that they keep up with the latest trends. Online payment is becoming extremely competitive among companies and for a company as large as J.P. Morgan Chase it is very important that they make the digital transformation as soon as they can. I am an information science and technology and I have learned more about how the digitalization of a company’s systems works. It is not an easy process and it takes time and resources. I am very interested in this topic and am excited to see how J.P. Morgan Chase handles this situation. I found this article to be rather interesting because this announcement really shows what the future of consumer-to-business transactions will look like. We really are moving into a digital and moneyless society. In an article on Forbes (http://www.forbes.com/sites/cit/2015/09/14/4-reasons-mobile-payments-will-explode-in-2016/) , they explain why the growth of mobile payment solutions will boom in 2016, and I feel like this move by J.P. Morgan Chase will help it significantly. However, what keeps many Americans away the most is their lack of trust in the security of mobile payments. With the amount of stories of foreign and domestic hackers gaining access to private accounts, it is understandable as to why many people feel this way. What J.P. Morgan Chase should really do to make sure they gain more customers in this market is make sure that they have ample security and back-up plans for users in light of a potential viral attack. There is no doubt that J.P. Morgan Chase will be successful with their launch of Chase Pay. Apple Pay and Android Pay have both proven to be successful for them. Now that Chase Pay is becoming a player, more national banks will most likely follow. Technology continues to create opportunities for paying for goods and services. I know that a lot of the younger generation uses digital wallet services compared to older generations. Approximately half of the households’ use J.P. Morgan Chase, but how many people are going to stay with Apple Pay or switch to Chase Pay? Apple Pay will be Chase’s Pay biggest competitor. In this article, http://www.reuters.com/article/2015/10/27/us-jpmorgan-payments-idUSKCN0SK2MF20151027, Chase Pay feels that they have an advantage over Apple because of how many retailers they have brought or intend to bring on-board with their plan of using Chase Pay versus other forms of payment. It will be interesting to see how Chase Pay competes with Apple Pay. This sounds like a great idea, but is the correct target market going to be able to utilize technology. According to an article (http://marketingland.com/study-big-gap-awareness-usage-digital-wallets-92853) there is a large gap between the services, the users, and advertising. To my knowledge, primarily young people (about 18-30) use digital wallet services, and a large portion of those users are college students. Each college area/university has a corresponding credit sponsor, for example, PNC at Penn State. Chase has not entered or largely penetrated that market for college students and university areas, so there may be a disconnect between available and willing users and the technology that Chase is advertising. Although this is excellent technology, the next step for Chase is to gain popularity within the primary users of this technology, those who are about 18-30. Additionally, Chase will have a hard time competing with Apple in this market due to the already existing popularity of the Apple brand for that demographic.